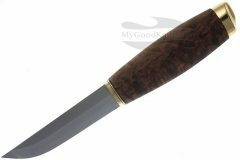 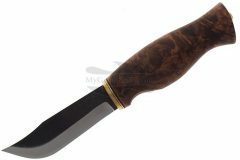 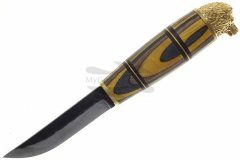 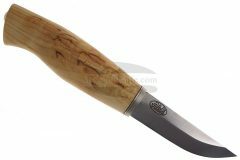 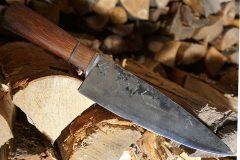 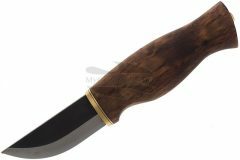 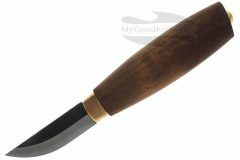 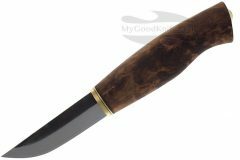 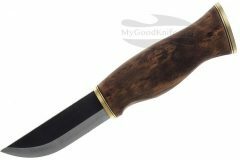 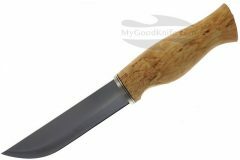 Shop for traditional Finnish knives Puukko and Leuku at low prices. 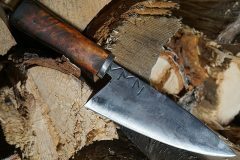 Knives Marttiini, Iisakki Järvenpää, Ahti, Paaso Puukot, Korpikannel, H.Roselli. 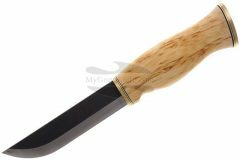 A puukko is a small traditional Finnish belt knife with a single curving cutting edge and a flat back. 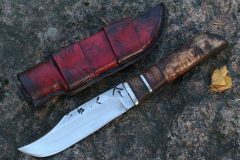 The basic components of a puukko are a hilt and a blade along with a sheath, which can be attached to a belt. 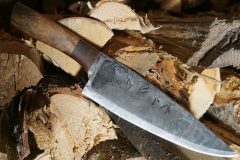 The blade is short, typically less than 100 mm, but could be longer. 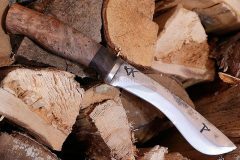 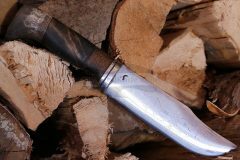 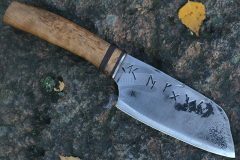 The Sami knife (Finnish: Lapinleuku or Leuku), is a large knife traditionally used by the Sami people. 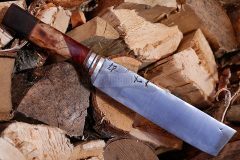 The Sami knife has a long, wide, and strong blade that is suited for light chopping tasks such as de-limbing, cutting small trees for shelter poles, brush clearing, bone breaking and butchering tasks, and is sometimes used as a substitute for an axe for chopping and splitting small amounts of firewood from standing dead trees- an essential ability when all dead and fallen wood is buried underneath many layers of snow. 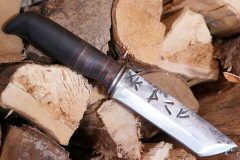 Typical Sami knives have a blade length ranging from 200 to 450 mm. 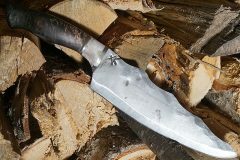 The largest knives can be considered as machetes or short swords.